Product #26097 | SKU 131 | 0.0 (no ratings yet) Thanks for your rating! The 1/4" 3-Conductor Female Cable Mount Jack with Solder Lugs from Switchcraft is connected to the end of a cable. 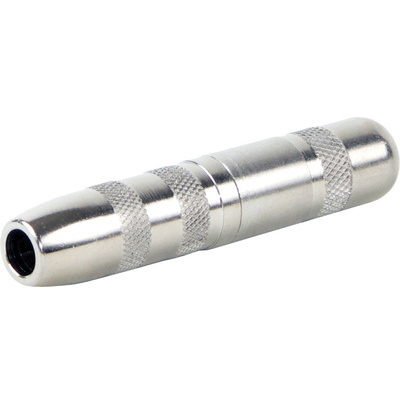 This 3-conductor jack mates with standard commercial phone plugs, and has a sturdy cable clamp strain relief, a knurled shielded handle, and solder lug terminals. All internal parts are interlocked.